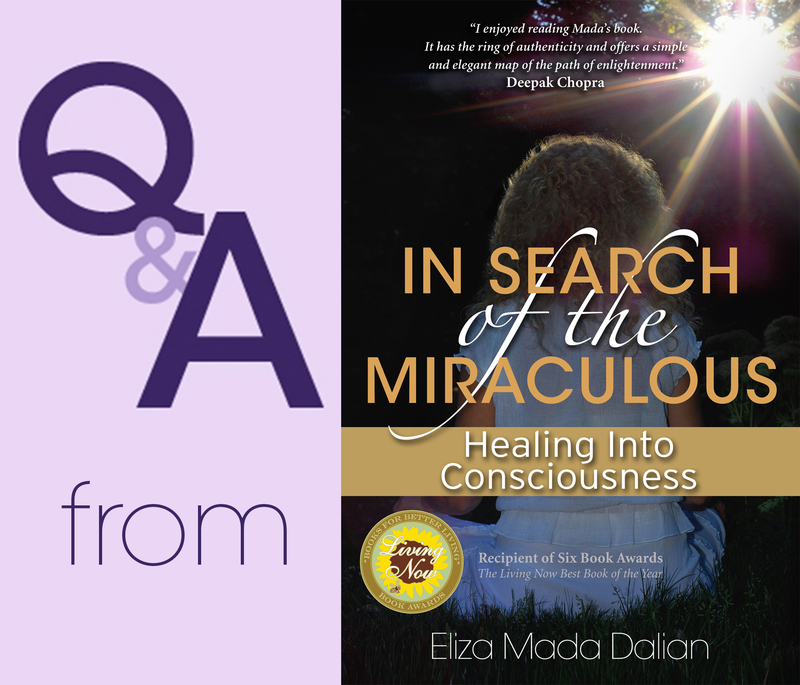 HEALING INTO CONSCIOUSNESS— A safe and loving place to share your journey of healing into consciousness, find like-minded friends, and receive guidance from a self-realized Mystic Mada Eliza Dalian. Welcome to the Growing Family of SHDM Facilitators! We just completed another ten day SHDM Facilitator Training Part 1. 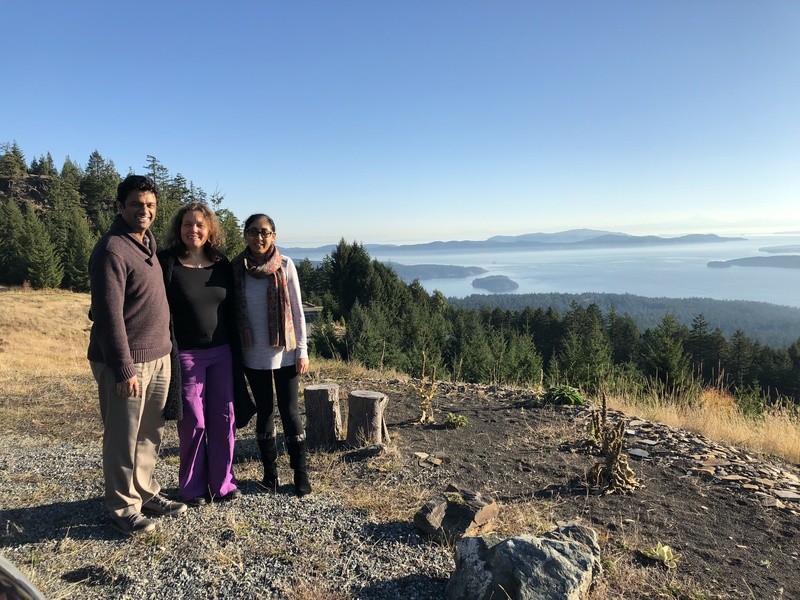 I am very happy to welcome Reema Sohal, Divya de Wilder, and Parminder Sohal to our growing family of Self-Healing Dalian Method Facilitators. With each person’s talents, energy, and vision in sharing the wisdom of the Dalian Method in the world, we continue to contribute in the evolution of health and consciousness on this planet. All the best to you as you begin to share what you learned about the Dalian Method. 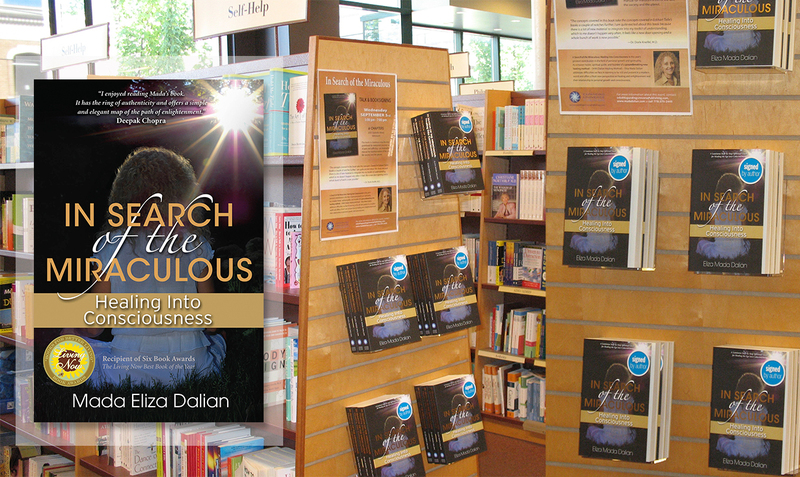 I am sure you will help to transform many people’s lives and enhance your own through the magical process of the self-healing Dalian Method. It is with great pleasure that I would like to announce that Group 3 of the Dalian Method Facilitator Training Part 1 scheduled to begin this October. As our family of facilitators grows, so is the popularity of this advanced system. Many intelligent and aware people seem to be drawn to it, and based on their own experience of working with it, they understand and appreciate the depth and power of this unique method to transform individuals and humanity. They are excited to learn to facilitate it for others and help them take a quantum leap in their healing and personal transformation into greater consciousness. Only self-aware conscious people who take responsibility to transcend their fears and belief patterns can help to bring this world into an enlightened era. The Dalian Method moves beyond the existing paradigm of health and healing. It facilitates healing without using the mind, energy work, or outside stimuli. Working with the body, mind, emotions, spirit, and innate wisdom of the individual (simultaneously) it bring to the surface the unconscious thought patterns and emotions trapped in the body. Then, working with often contradictory beliefs hardwired in the body’s cellular memory and chakras, this advanced healing system permanently erases and transform the causes of physical ailments, pain, fear, depression, and anxiety into freedom and joy of self-empowered consciousness. More details here. 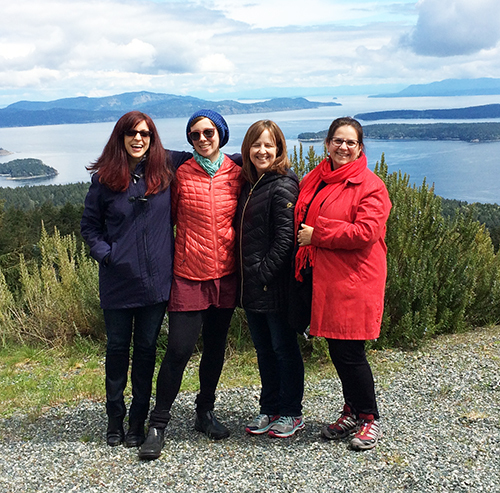 For details about the Dalian Method Facilitator Training please see here. Welcome to the SHDM Facilitator Family! Welcome Jandy, Megan, Madeleine, and Analesa to our growing family of SHDM Facilitators! 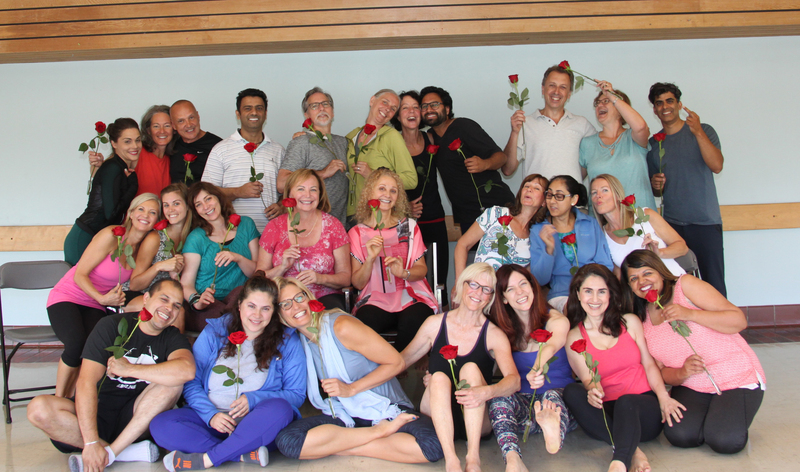 Continued success and blessings to you all as you journey through the rich multi-dimensional world of the SHDM Facilitator Training and helping others with the magic of the Dalian Method! 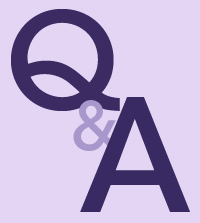 Q & A: How can I break free from fear? I’m always afraid that existence won’t support me and I’ll die if I let go of control. In my fear, I close off to life and others. How can I break free from this fear? Your fear is a blessing. It is giving you an opportunity to disidentify from your mind and learn to trust the unknown. The mind can never trust or surrender. Trust always happens through intelligence and consciousness. The mind always asks for guarantees, but life never offers any. Life unfolds moment to moment, and each moment arises as a result of the moment that was surrendered before it. Life is a surprise that always arises out of the unknown. 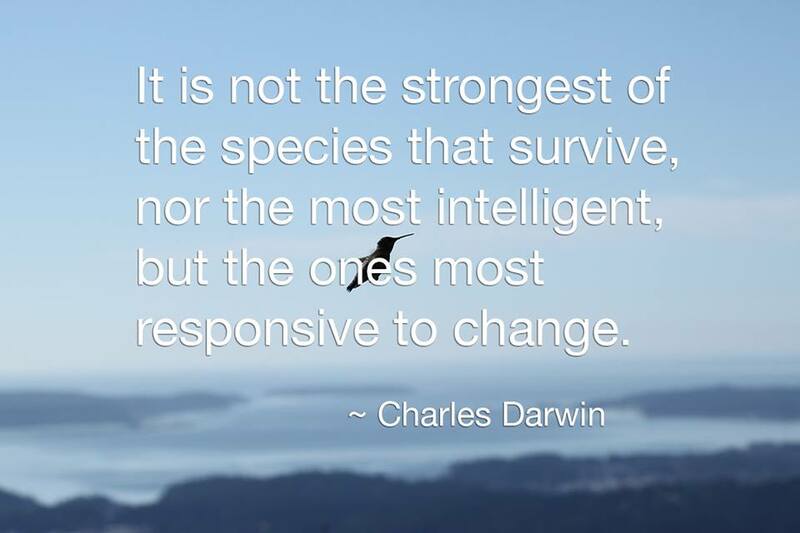 You can either embrace the unknown and live it fully and joyously, or resist it and live in pain, fear, and struggle. To break free from the fear of the unknown embrace the fear and let go of your concern about the past or the future. Don’t hold on to what has already happened or control what is to come. Then, try to understand the cause of your fear. Go into the fear and feel it fully. Don’t run away from it by diverting your attention. Stay focused and watch. As you are feeling the fear, ask yourself what will happen if you surrender to it. Observe any thoughts and emotions that come up without judging or avoiding what you see and feel. Then, give yourself permission to express out loud to yourself what you think and feel, as many times as you need, until you feel that the fear changes into awareness and trust. Expression will help free your energy of the suppressed thoughts and emotions associated with the fear and will naturally transform your unconscious energy into consciousness. This is the fastest and easiest way to understand the cause of your fear and transform it into trust. 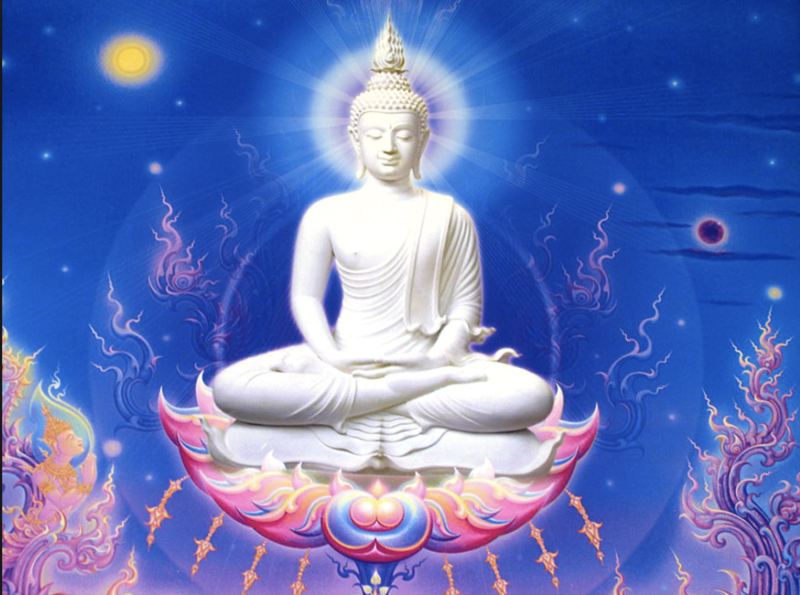 “The Buddha does not preach any belief — belief in God, heaven, or hell. His whole emphasis is on creating a silent space within you. You are already full of knowledge; more knowledge you don’t need. You need more innocence. You need an innocence like a small child. You need more wonder, more awe, more clarity. And all these come to you when the mind is silent. When the mind is silent you are in communion with existence; when the mind is noisy you are disconnected. Your own noise functions like a wall around you. Silence is the bridge; knowledge, noise, is a barrier. The more you know, the more you become indoctrinated, the more you’re full of rubbish, junk. To Be or Not to Be … ? 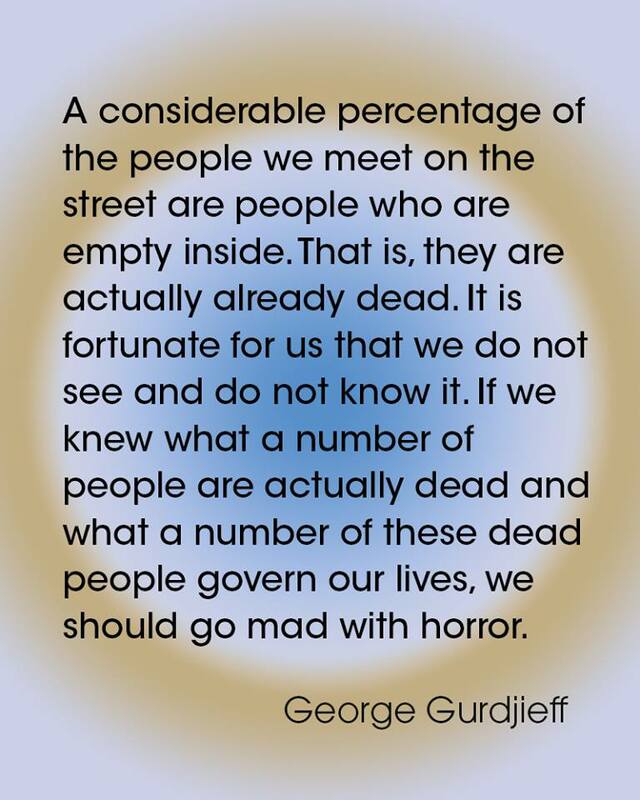 This quote by Gurdjieff is sad but true. When I came out of my 21 day seclusion and fast in 1992 and went on a busy street I was shocked to see that every person was sleep walking. No-one was present. Everyone was in their head and in some kind of a movie that was playing in their heads. Yes, it is scary to know that people who are fast asleep have been running the affairs of this world since time immemorial and those who disturb their sleep are always persecuted! 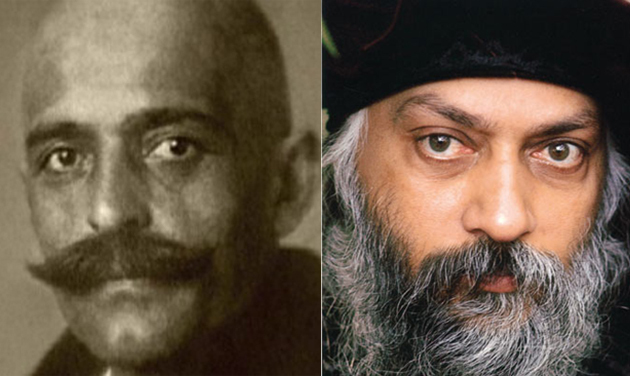 In the late `80s, when I was living in India, I asked Osho the question below. I feel to share it here as it has been the centerpiece of my personal work, and now, my work with helping others with their transformation. Delving into the layers of the unconscious and transforming lifetimes of pain and suffering is also the central work of the Dalian Method. Even though you tell jokes and fill our hearts with laughter while silently cutting our heads with your invisible sword, I feel sometimes you suffer most, from our sleep and unawareness. Please forgive us. 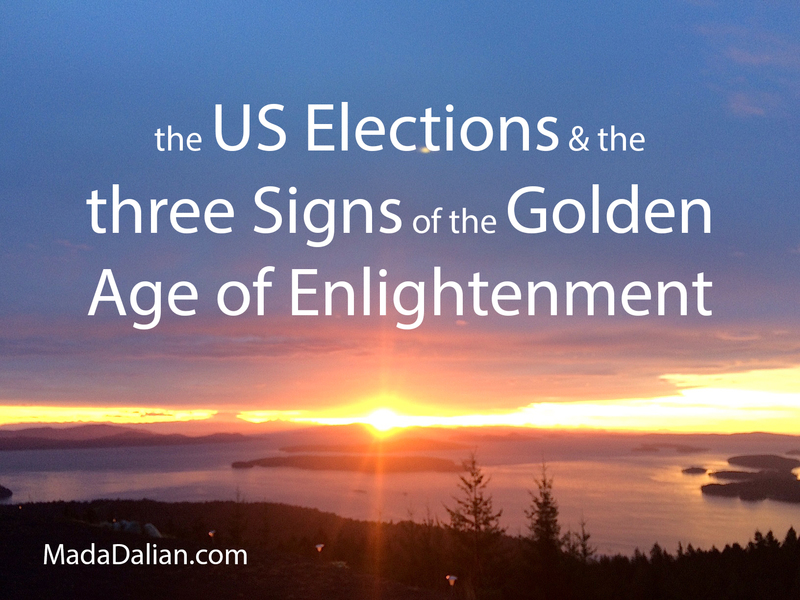 “… Jivan Mada, your question is certainly of very extraordinary significance. Only Gurdjieff, a man like Gurdjieff, could have made such a statement. But it is in fact true. He is saying: “Ordinary men never experience true suffering and sorrow, for they live mechanical and routine lives.” It is not that there is no suffering, but they are accustomed to it. Secondly, their suffering is repressed. They live on a very thin layer of consciousness; underneath is the whole hell. Once in a while it surfaces, but mostly the ordinary man lives his whole life without knowing how much suffering, how much misery he was carrying within himself. In a way he is fortunate, and in a way the most unfortunate, because if he had become aware of this misery and suffering then there would have been nobody who could have prevented him from getting out of this unconsciousness, this routine mechanical life, and becoming an awakened, conscious being. But I say on the other hand he is fortunate that he does not know that he is carrying a whole hell within himself. Just a little prick in his bag and you will see how much misery, how much suffering. People don’t even talk about these things, because even these words may provoke their own suffering to surface. People don’t talk about death. But I continued to go to every funeral that I came to know was happening. Whatever work I was involved in, I would drop then and there, and I would join the funeral procession. Even the people would see me and wonder: am I following them? I could not believe that people are afraid to face things, because to face them means to know intensely that every death is a declaration of your death; that today you are seeing somebody on the funeral pyre and tomorrow somebody else will see you on the funeral pyre. They want to avoid the fact. Even to visualize it, themselves on the funeral pyre, shakes their whole being. That’s what Gurdjieff is saying: True suffering and sorrow never become the experience of the ordinary man. And by ‘ordinary man’… he is not condemning anybody. He is simply saying, every unconscious man is an ordinary man. He is not even aware of himself — what can be more ordinary? He has lived a life of seventy years and he has not come across himself. But the reason is that people create a barrier between themselves and their unconscious reality, which contains lives of suffering, pain. They are afraid to face it. And unless they face it, they cannot face that which is beyond suffering, that which is blissful, that which is our very nature — our eternity, our joy, our dance, our flowers. And you know how suffering is repressed. For example somebody dies and you start crying. Immediately some wise guy is going to tell you, ‘Don’t be emotional; death is a natural thing, it happens to everybody. There is nothing in it. And it is not manly — tears? are you a woman?’ Even small boys are told, ‘Don’t be girlish.’ Their father has died and they cannot cry because that will expose them: they are not a man, unemotional, strong, courageous, who can face everything. This crying and weeping is left for women. But that does not mean that this statement is true only about men and not about women. It is more true about men, but it is also true about women. They also go on suppressing their sorrow, their misery, in different ways. Just the ways are different. They distract themselves in their jewelry, in the television, in shopping, in going here and there, just continuously talking yakety-yak, yakety-yak. They are avoiding something, escaping from something. They don’t want to see it; they want to forget the wounds that are inside. Just look at his words: no master has been able to make such statements; that’s why he was the most misunderstood man one can imagine. He is saying, “A man who has willfully undertaken the extraordinary and unnecessary burden of the work…” And by `the work’ he means digging into your unconscious, going as deep as possible. Unless you reach to the very living source of your life you will have to suffer much. It is unnecessary, he says, because you can live like an ordinary man. Nobody is forcing you. It is extraordinary, because ordinary people go to the church, not into themselves. They read the Bible, they don’t read their own unconscious. They worship in a temple, but they don’t expose themselves in meditation. Gurdjieff used to call it ‘work’ because it is undertaken only by very intelligent, courageous and strong people — for the simple reason that you can live without going into all this, you can just be a stationmaster your whole life, or a businessman or a clerk, or a priest. There is no need to go into such suffering and sorrow. But you will not get rid of it. Even in your next life it will continue, and it will gather more suffering from this life. Each life, layer upon layer goes on collecting all that has not been lived, expressed, the unfinished, unlived, the repressed. In Buddhism — and perhaps only in Buddhism — there is a technique to find out how many lives you have lived before. And the way is to count the layers, just as by cutting the tree you can know the life of the tree by the circles, how many years, because each year one circle is made. So if the tree has been two hundred years old, you will find two hundred circles in the wood. Exactly in the same way, every life leaves a circle of suffering and sorrow within you. It can be counted, how many lives you have been repressing, how many lives you have lived before. But the longer you have lived, the more difficult it becomes to enter into your inner kingdom. You can live very superficially, you can avoid the dark night of the soul, but if you avoid the dark night of the soul, you are avoiding all your treasures. You are avoiding the very meaning of your life and existence. Hence the intelligent man takes the challenge and enters into the dark tunnel, which seems to be unending. But it ends one day. If you go on with courage, knowing that people have passed beyond it — that is the beauty of being with a master, because you know that at least one example is before you and with you, who is standing outside of the tunnel and who is constantly calling you to enter the tunnel… because unless you enter, you cannot get out of it. There is no way to bypass it. There are thousands of frauds in the world and their work is to tell you how to bypass the darkness and the suffering and the sorrow and just become enlightened. Just a transcendental meditation, repeating a certain name, and you will become a realized soul. There is no connection in it, there is no authentic work. What will happen to your unconscious? What will happen to your collective unconscious? You are trying to bypass them, just to leave them. That is not the way.